COOKS ARE UNITED – ENOUGH WITH THE SCREAMING CHEF! How many times have you heard, “This is the way I was trained, so this is how I will train you.”? Physically and emotionally battering cooks is no longer a realistic approach towards managing a kitchen crew. Just because it was the accepted norm a few decades ago is not justification for emulating that style of management. Machiavellian management (management by fear) may have been a way to get the job done, but it never inspired people to be enthusiastic, demonstrate passion for the craft, go the extra mile, or produce a product with a sincere smile on their face. Fear does not inspire, it alienates and demoralizes a team. It doesn’t help when more and more authors present the horrors of days gone by in the kitchen, or TV shows that depict working on the line being akin to spending time in hell. I can assure you that those operations where it exists will find real challenges in attracting and keeping good cooks, and may eventually find the labor board knocking on their door with a claim of a “hostile work environment.” Those books and shows present an archaic view of kitchen life that is certainly still very demanding and difficult, but today, a bit more humane than it was a generation ago. First, it is critical that the chef hire correctly. Filling positions with individuals who do not have the skills, who have poor attitudes, who are not dependable, or fail to exhibit the necessary passion to do the job right is a formula for problems. If a chef inherited this type of cook, or finds him or herself in a position to hire individuals who are not up to standards, then he or she owes it to them and the organization to work with and train them properly. If after a reasonable effort to train, these individuals are still unable or unwilling to perform, then get rid of them before they poison the team, the restaurant, or your reputation as a chef. Once you hire an individual, your job as chef is to serve as trainer, teacher, and mentor. After a few days you have already made an investment in the individual so it only makes sense to push them to grow. In-service training, working along side them, sending them to workshops, and teaming them up with one of your kitchen stars, will pay off in the long run. You hired them; take on the responsibility for their success. Telling is never enough. Telling assumes way too much. It assumes that they understand you; it assumes that they have the skills to execute your directives; it assumes that they have benchmark experiences that will allow the cook to envision presentation, aroma and flavor. SHOW ME HOW is always the best way to teach and train. Cook with the individual, allow him or her to taste the ingredients alone and together in the final form, walk the cook through the process and allow him or her to prepare the item while you watch. Taste the item together and have the cook compare his or her dish to the original prepared by you. Give the cook a chance to verbalize how the work they did matches up and them show them again. There is a major difference between criticism and critique. Anyone can criticize; it only shows your ability to express an opinion without backing it up. Critique is a process of explaining what is wrong and then helping the individual learn how to make the necessary corrections. The most effective kitchen organizations are the ones that focus on building the skills and confidence of cooks. If you want to keep your line cooks interested and engaged, then let them spread their wings, give them guidance and support, and increase your expectations of their ability and performance. Communicate, communicate, and communicate. Don’t wait, point out what is right or wrong and offer compliments or demonstrate how the task should be done with a tone of encouragement. If the cook consistently demonstrates an inability or lack of desire to execute the task effectively then the chef may need to reconsider that person’s fit. One of the most important tasks that a chef has is building an effective team. This team should be skilled, passionate about their work, focused on working together and helping each other out, organized, and willing to learn and grow. When the team is dysfunctional then the operation is destined to fail. Chefs need to roll up their sleeves and work in the trenches with the line team. It doesn’t need to be a steady diet, but every day there should be a commitment of time to do what is needed to assist the team. I knew a great chef who was promoted to Director of Food and Beverage at a major casino. He had a kitchen staff of over 400 operating a multitude of restaurants. His job was very complex, yet every day between 5 and 7 p.m. he put on his whites, went to one of the restaurants and asked the responsible sous chef: “what can I do to help?” Needless to say he was well respected by the entire kitchen crew. Never underestimate the ability of any line cook to be the source of great ideas and/or solutions to problems. The fact is that they may be closer to the issues than the chef and much more likely to understand what it would take to make things better. 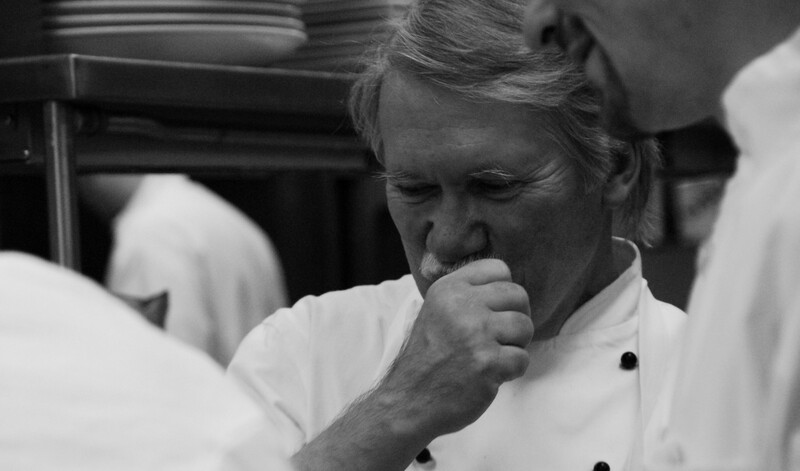 The best chefs encourage and depend on others to problem solve and ideate. Chefs from a previous generation felt that the only way to get cooks to be effective in their jobs was to push, belittle, embarrass, and chastise them and their work. This may have worked in the past, but it doesn’t fly today. The work is hard enough without the added stress of an out of control chef. 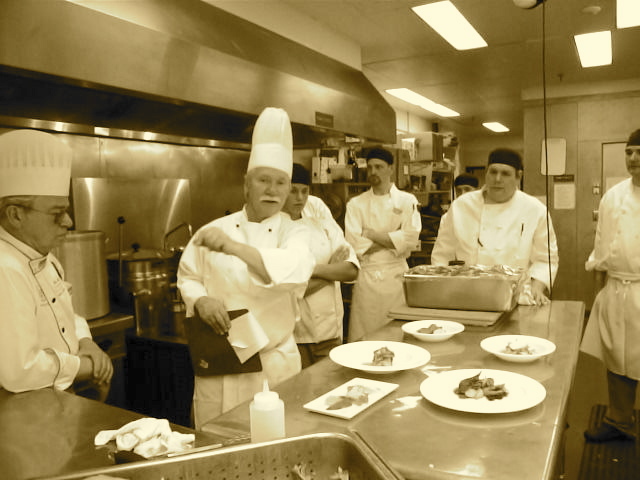 Chef’s, like coaches need to use a diverse package of tools to meet the expectations of the guest, but none of those tools will be effective without a team of cooks who arrive at work each day because they truly want to be there. ← WHAT COULD COOKS AND RESTAURANTS LEARN FROM THE GRATEFUL DEAD?